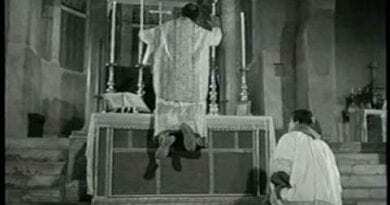 “Dear children, if you have to choose between my Apparition and the Holy Mass, go to the Mass. In the center, here in Medjugorje, are the Holy Mass and confession: it is always Jesus. They are not the Apparitions at the center, we must not run after the Apparitions, but we must run after all that Our Lady tells us. Many pilgrims, if they have not seen all the visionaries, say that the pilgrimage was a failure. This is not true. 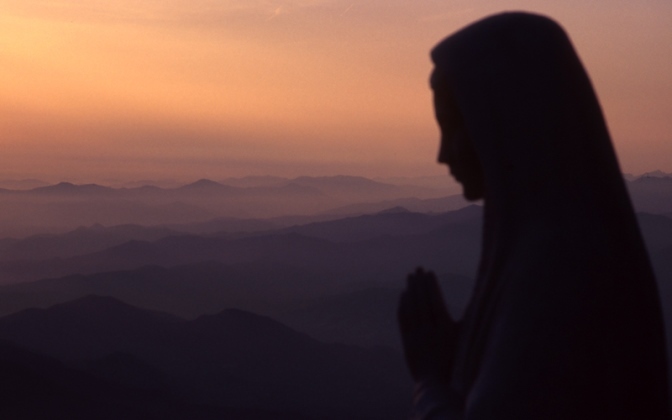 Our Lady never says: “You must come to Medjugorje to see me, or to see the visionaries, or to see the friars who are holy, or are intelligent, or I do not know what …”. Our Lady never says this.Our Lady says what is important for us, for our good, for our salvation. Our Lady always says: “The most important message I gave here is the invitation to conversion”. It is an evangelical message. The messages that Our Lady gives us here in Medjugorje are not new, they do not add anything to the Gospel. Our Lady comes here to awaken us, as Jesus did in Gethsemane, when he awakened the apostles who had fallen asleep. Jesus had often announced his passion, his death to his apostles, but they had not taken him seriously, they had fallen asleep. So we too can not take seriously not only Our Lady but also the Gospel, because Our Lady comes here to tell us to take the Gospel seriously. Medjugorje is not a Christian sect, as some say. 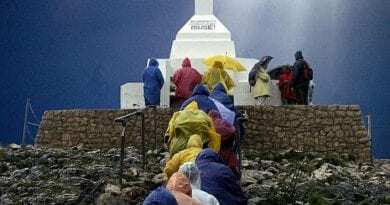 Medjugorje is the Church, it is the Church in movement. Medjugorje is not only in the Church, but also for the Church. Our Lady does not come to found a new Church, but to help the Church of her Son Jesus to renew itself. Our Lady said here: “The purpose of my apparitions, dear children, is that you be happy here”, because Our Lady does not come here to deprive us of the joys of life. She wants us to be happy, and only with God can we be happy. She said: “The purpose of my apparitions is that you all be with me in Heaven”. We have not yet arrived in Heaven, here we are still in the desert like the Israelites: when they came out of Egypt they did not immediately arrive in the Promised Land. So we too, here on earth, live this desert, we are walking towards the Promised Land but here we also live the trials, the temptations. This is why Our Lady says: “Dear children, I have come to help you because you can not do it alone”. You know well that the Israelites also opposed Moses saying: “In Egypt we had food, there is nothing in the desert, there is insecurity”. So it also seems to us that what Our Lady tells us is not so comfortable, is not attractive, is not pleasant. When Our Lady says: “Pray with the heart” does not tell us something easy, something we like right away: we all know that it is easier to watch television, to do things that are comfortable, that like more than to pray. Our Lady does not tell us here what we like, but what we need for our good. 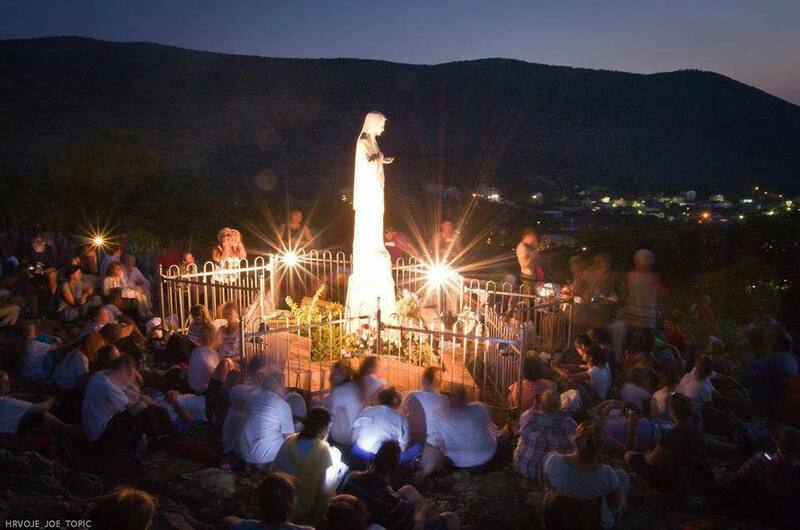 The apparitions of Our Lady here in Medjugorje that last for 25 years are undoubtedly a sign of our time. A time in which we no longer know what is good, what is bad, what is on the right what is on the left … Our Lady is not afraid to tell us that Satan exists, and says: “Satan is strong, dear sons”. Satan works through the wounds, he works in our thoughts, in our imagination, he makes confusion, wants to make discord especially in families, he wants to destroy what is holy in each of us.But Our Lady also says: “Dear children, with the Rosary in hand you will win Satan. Consecrate yourselves to my Immaculate Heart and to the Heart of my Son Jesus. Dear children, I desire to guide you to Jesus, abandon yourselves to Jesus, give him all your life, your past, all the evil accumulated within you “. 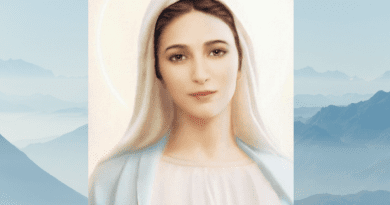 Our Lady here in Medjugorje is not an abstract being that comes from the clouds: she is a living Mother and there is no need to see her with her eyes. Of course, seeing Our Lady with her eyes is a gift and a grace that the visionaries have, but they always say: “we who see her are not at all privileged”. Our Lady can “see” even in prayer made with an open heart: we can know, experience, feel the beauty, the depth, the greatness of her love, of her Immaculate Heart that heals us and frees us, because it is not important to see Our Lady, it is important to open our hearts to Our Lady. One of the miracles here in Medjugorje is that the visionaries have remained normal people, because being a visionary here in Medjugorje is not easy: it is not easy to be bothered by pilgrims with so many questions, so many requests. The visionaries are not miracles, they are not stars. Many think that Our Lady, in prayer, feels better than the visionaries of what we feel, but this is not true. The visionaries are only simple witnesses of what they saw and what they heard, nothing else. We must look at them like this. They too are invited, as I am invited (to the conversion), and they must strive every day, they must every day clash with their own weaknesses, with their own limitations, with everything in them that is human to be able to become saints . It is not easy to become saints. Padre Pio said: “Whoever wants to become a saint must prepare for suffering”. This is why we do not become saints: because we do not want to suffer. Yet suffering also helps us to know God better, to know ourselves better. Our Lady here, as a Mother, is a living Mother who has the heart, and this heart not only loves but also suffers. In fact, he said: “Dear children, my heart feels pain for everyone who is far from my heart”. Above all, you who are parents, when your children do not listen, when you are on the wrong path, you suffer even more than they do, because you love them. If you did not love them, there would be no suffering in you. 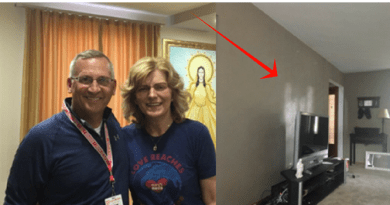 Many ask me how to help their children because they have moved away from the Church, from the Sacraments, from the faith and parents suffer so much for this, but there is no “express” recipe for this. It is precisely what Our Lady does here: she indicates, advises, calls, prays, suffers: each of her messages is like a prayer addressed to me, to you. Our Lady not only invites us to pray but she herself, as a Mother, prays and suffers when I am far away, when I am closed, when I am in sin, when I do not want to listen, I do not want to take seriously what the Mother He says. In the message he gave us through the visionary Marija at Christmas this year he said: “Even today I bring you the newborn Jesus: He is the King of Heaven and Earth, He is your peace, only He can give you peace…”. Many have met, experienced this peace, this joy right here, in this place that I would say consecrated by the apparitions, by the presence of Our Lady. When we pray, perhaps we do not immediately see the fruits of our prayer, yet there is no vain prayer: every prayer is heard by God and answered and there is no need for us to see its fruits immediately. The fruits will come when God decides, when it will be better for us too. So many times it is better that our desires are not fulfilled, but God’s desires are realized on us because we do not always know what is the greatest good for us: only God knows, He who is our Creator, but also our Father! This is why Our Lady says: “I come to you as a Mother who wants to show you how much God your Father loves you”. “Love can be perceived only with the heart, and this is why our praying is only with the heart. We can also pray with the lips, with the mouth, but God does not need our words, the prayer of the word, he needs our heart. This is why our prayer must come from the heart, from a loving heart. But we can only love when we feel loved: a person who does not feel loved, welcomed, secure in this love, can hardly love others. A person who does not love herself can not love others either. There are few who know how to love themselves, who accept themselves. Our Lady came here to teach us to love ourselves and says: “Dear children, each of you is important”. We must not make ourselves important, but we must only feel important for God. We are precious for God: each of us, with our prayer, as Our Lady says: “I need your prayer, your collaboration, your little one” yes! “”. Through the little “yes!” Of Our Lady, God has saved the world. Through your faith, which may seem small and insignificant, through what you do, even the smallest gesture, God can do great things. I will tell you that Our Lady here does not wait for us to do great things, but to do what we can: God will then do what is impossible for us. Precisely in the message he gave us at Christmas through the visionary Jakov, Our Lady addressed us saying: “Put my Son in the first place, dear children.Without Jesus we can neither become saints, nor have peace, nor enjoy life, because our prayers do not save us, our good works do not save us, our pilgrimage to Medjugorje does not save us, only Jesus, Jesus saves us in prayer, Jesus in the good works we do, Jesus in the pilgrimage, because we need the Savior, we need Jesus, we can not save ourselves, and Our Lady takes us to Jesus. Our Lady did not come here to scare us, to force us, indeed she always says: “Dear children, I submit to your freedom”. With how much respect the Madonna comes, with how much love! How to leave us free! Because there are, in my opinion, three requirements necessary to be able to say that an apparition, a message, are authentic. These three requirements are: freedom, love and humility. If one of these is missing, we are certainly facing a human, not a divine, inspiration. Many voices circulate, many messages, we speak of apparitions that are false, not authentic, that are the result of human imagination. When I hear apocalyptic messages, which oppress me, that suffocate me, it means that they do not come from God, but from the human spirit. God, when he acts, always leaves you freedom, so that you feel attracted, not forced inwardly. The messages of the Madonna are just like that. The prudence of the Church. This is why the Church, which has a great experience, is also very prudent. 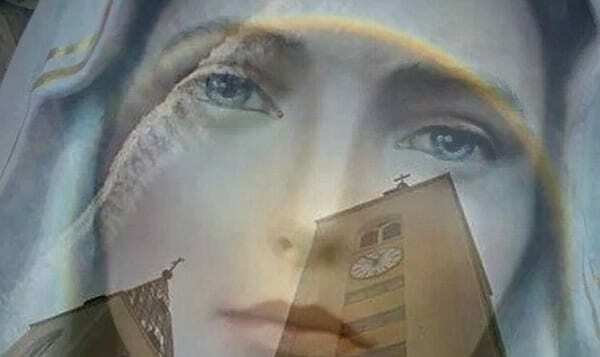 The Church, as you know, has not yet said “yes”, has not yet said “no” to Medjugorje, and until the apparitions are still in progress, it will not be expressed. When the apparitions finish, you can give a final judgment. But I would say that the Church is not even against Medjugorje. The Church also speaks with its silence. If he had found something so far contrary to the Gospel, to his teaching, he would certainly have said something, it would have been pronounced, as it has pronounced on many other occasions. On the other hand, the Church is still open on Medjugorje. The Church is the guardian of the Revelation which ended with the death of the Apostle John and on everything contrary to this Revelation the Church can say: “This is not in accord with Revelation”. The Church on Medjugorje has not said all this, it is open. Possibilities and limits of scientific studies. You also know that no other apparition in history has been examined, investigated, like this one here in Medjugorje. So many groups, doctors, psychiatrists have come, who have examined the visionaries and said what psychiatry, medicine, science can say: the visionaries do not have hallucinations, they are psychically healthy, balanced, but what they see is not science he can say it, because it is a spiritual, supernatural reality that can not be measured or photographed with medical scientific equipment. Who can measure your faith? Nobody. Who can measure Grace? Who can measure the trust you have in the other or in God? Who can measure the love you feel, with what love do you love? These are spiritual capacities and realities, on which Medicine can not say anything. Medicine, antidepressants can not free us from sins, from the remorse of conscience. Only Jesus, Jesus born, dead and risen for us, with his grace, in the sacraments that he has left us can deliver us from our faults. 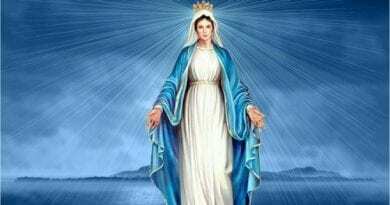 As we said above, we need the Savior and this Savior brings us Our Lady. 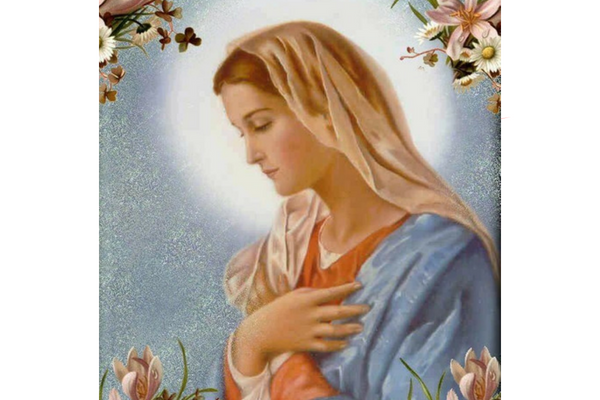 You must not be afraid to pray to Our Lady: Jesus will not be jealous if you pray to His Mother because whoever prays Our Lady will surely be brought to Jesus. I would say that Jesus entrusted humanity to Our Lady and She taught us: “Do everything what He will tell you “like at Cana in Galilee. I would dare to say that Jesus would say today “Do everything that my Mother tells you here in Medjugorje …”. I would like to tell you a word about the secrets that Our Lady has entrusted to the visionaries, ten secrets to three visionaries and nine secrets, until now, to the other three. On the secrets I know how much you know, but I am not so worried about secrets, I am worried about my conversion, about my growth in holiness and I still have to start on this path. Those who are converted do not have to worry about what will happen in the future, they will be safe. All catastrophes can happen, we will be safe. Our Lady always says: “Dear children, pray to understand why I am with you for so long”. Instead we want to understand without praying. On the contrary, Our Lady shows us the way: we must pray to understand. Twenty-five years are not many and are not even a few. 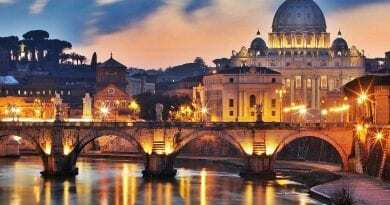 You know that it is easy to get excited at a one-day, one-week, even a month-long pilgrimage, but being enthusiastic for twenty-five years is not easy. We must grow, walk a lot and grow in faith too: God also respects our processes, respects our times, our soul, our heart. When I became a friar, I thought I would at least convert all of Bosnia and Herzegovina: I still could not convert myself. I understood now why it is easier to convert the other than ourselves: we are always inclined to want to change the other, to want to convert the other, to wait for the other to start first. 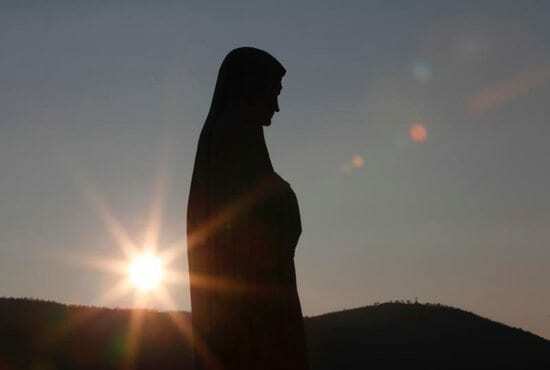 Instead we are called first.Many say: “Here in Medjugorje it is easier to be Christians, to pray, to feel peace, but when you return home everything vanishes”. Yes, this is also true, because it is easy to pray when everyone is praying. This is the problem of each of us, and for this I always tell the pilgrims: “Do not leave Our Lady here in Medjugorje but take it with you to your home, just as St. John the Apostle did. “He took it with him” the Gospel tells us. He took his mentality, his heart, his love, his way of life. We learn from you, as you have learned St. John. Message Dear children, today I invite you to decide to offer time patiently for prayer. Little children, you can not say that you are mine, that you have experienced conversion through my messages if you are not ready to offer God’s time every day. I am close to you and I bless you all. Little children, do not forget: if you do not pray you are not close to me, nor to the Holy Spirit who guides you on the path of holiness. Thank you for responding to my call. ← Priest Shot and Killed at Altar…Killing leaves a pool of blood below the statue of the Virgin Mary.